This is another WeightWatchers recipe and is low fat but tastes really indulgent with a creamy sauce that even uses white wine. Leeks are in season in autumn and winter so it's a great recipe to make at this time of year. According to WeightWatchers this has 6 points per serving. Bring a pan of water to the boil then summer the potatoes. Meanwhile put the sliced leeks and garlic in a deep frying pan with a lid. Mix the chicken stock cube with a splash of boiling water and pour into the pan. Cover and steam over a low to medium heat for 10-15 mins until the leeks are tender. Add the wine, bring to the boil and simmer for 1 minute. Cut the chicken breasts into 12 pieces and add to the pan. Turn down the heat, cover and cook for 10-15 minutes until the chicken is cooked through. Drain the potatoes and mash with the low fat spread and milk. Stir in the fromage frais, crème fraiche, mustard and tarragon and heat through. Season to taste. Serve with the mashed potatoes and green veg. 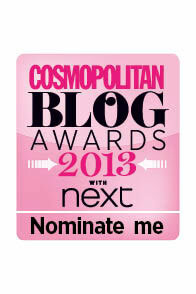 Unfortunately I forgot to take a photo of the finished dish but taste is more important than looks anyway! 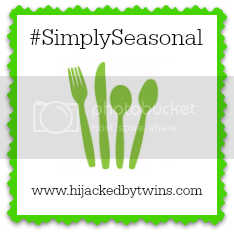 I'm sharing this with Simply Seasonal, hosted by Hijacked by Twins.